It has the redemption ending. Listened to this on youtube last night. Wow, Uhde and Varnay are amazing! And Knappy really nails the drama. Number one now I think. Last edited by Itullian; Dec-16-2017 at 16:02. Never heard that Schuchter. Is it any good? This one was the last in my Mono challenge and I didn't have very negative comments for it. For example, the nice sound quality that provides the studio ambience. It was generally well sung, with the Dutchman, Hotter, in great shape (never as impressive as in 44 or 50). Helmut Krebs also gave his best as the steersman. My problem was the flat interpretation of the score (I really like the brisky opposite of Sawallisch) and a standard Helene Werth as Senta. Last edited by Granate; Dec-16-2017 at 18:35. Coming back to this thread, but still puzzled as I don't find an audio link. I could simply rip my DVD but prefer an actual CD release. Last edited by Fritz Kobus; Apr-07-2018 at 05:31. 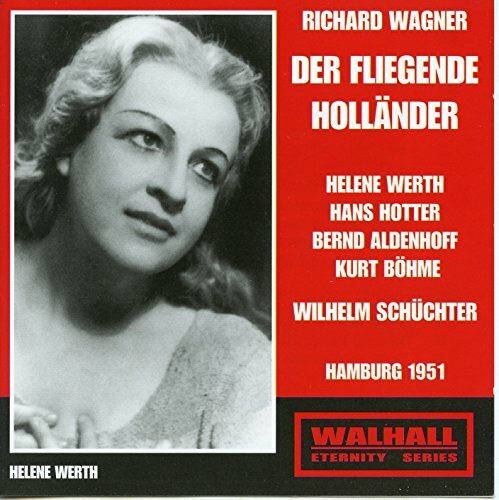 I now have a respectable collection of 16 Hollanders: Nelsson, Dohnanyi, Bohm, Parry (Chandos sung in English), Fricsay, Klemperer (both studio and live), Minkowski, Sawallisch '66 and Sawallisch '59 (but long for the Sawallisch with Silja), Sinopoli, Solti, Varvisio, Weil, Levine, and Krauss '44. Make that 17 Hollanders. Just ordered the Konwitschny set! This is probably my second largest collection next to Fidelio! Last edited by Fritz Kobus; Apr-07-2018 at 15:42. Just ordered the Dorati Hollander, so now 18 Hollanders! 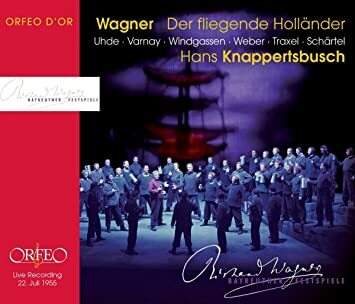 Well, you could sell two or three of those Holländers and then buy the Orfeo Master release of the Knappertsbusch Bayreuth 55. I would settle with the Walhall release but I heard that you care about SQ in mono. I've usually found Bayreuth sound disappointing. For me, it is also quite of the definitive Dutchman. Karajan can bring out the wind, so to speak, of this piece. Moll is indeed definitive for a kind of role like Daland (his a-bit earlier Gurnemanz, also with Karajan, is the best.) Dunja Vejzovic is not bad in the Ballad. 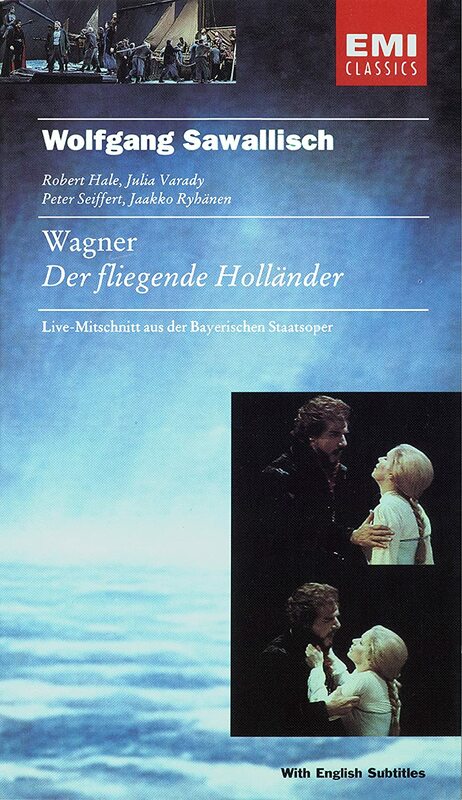 My only complaint is that in the ghost chorus section in Act 3, you can barely hear the chorus onstage, let alone the chorus "offstage", overshadowed by the piccolos and wind effects (cf Karajan's Tristan Act 1 Finale, where the mens' chorus is overshadowed by the brass.) All in all, it seems to be the best Dutchman. What does anybody think of Ricarda Merbeth as Senta? She is on two CD recordings. In either case I don't know that she is the best Senta out there, or even in the top tier. I suspect not. Hey woah, I was surfing on Amazon and this popped up. It looks like it is awesome! I have to watch it! Is it only on VHS? Where can I get it on DVD? Last edited by Fritz Kobus; Jan-28-2019 at 18:07. I couldn't disagree more about Karajan's Dutchman. I picked up a CD of highlights, but quickly got rid of it. Karajan's tendency to exaggerate contrasts begins right away with the overemphatic timpani in the overture, followed by the slowest, softest, sleepiest bit from Senta's Ballad ever heard. Dunja Vejzovic was an erratic soprano Karajan used both here and in his Parsifal for reasons I can't fathom, and her Senta shows the same vocal inconsistencies that mar her Kundry and doesn't sound for a moment like a girl in love. Kurt Moll as Daland is fine, but no more "definitive" than, say, Gottlob Frick, who has more character. 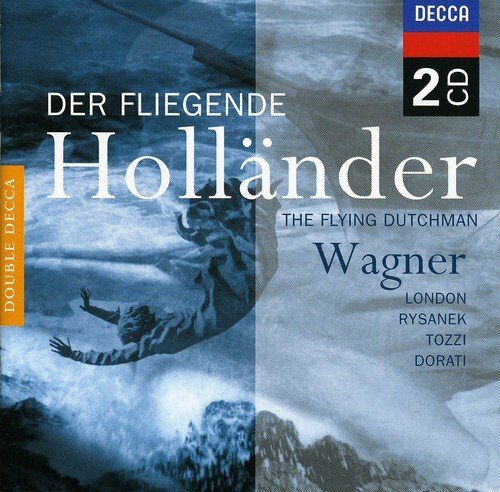 Van Dam's Dutchman is neatly sung, but microphones can't disguise the fact that his voice is not the real Wagner-hero, bass-baritone thing, and Karajan's thundering orchestra only makes this more obvious. Peter Hoffmann's Erik is, like his Parsifal, strained and unimpressive. Karajan can be relied on to blow the roof off the place at the big moments, if that appeals, but on the whole this impresses me as another overcalculated, overengineered, undersung, late Karajan studio job. Last edited by Woodduck; Feb-07-2019 at 04:54. Only it does not include subtitles. Might still be worth it though. All times are GMT +1. The current date and time is Apr-25-2019 11:30.